Apparition Class Multirole Deep Intrude: "Get In, Get Out, ... Don't Get Caught!" Not just a star ship book, but also a source book on starship stealth. The book offers common sense, play tested rules to enhance the stealthy starship experience. A good blend of color with a solid crunch. Bringing a practical consideration of stealth within the Traveller universe, this book provides options for a whole new feel of play. Ever wonder how detectable a ship is if it goes dark (shut off all power, and drift)? Did you ever wonder if there was a less costly way to add a stealth coating to a ship? This book is ideal for any game looking to enhance starship stealth in the Traveller Universe. The book comes with full color images, deck plans and a wealth of information to bring your Traveller game to the next level. Heroes Wear Masks is Pathfinder after it was bitten by a radioactive spider. If you're familiar with Pathfinder you'll recognize most of the rules. If you're familiar with superheroes you'll be familiar with most of the setting. If you're familiar with both, you'll be right at home here. Infinite Futures is a Sci-Fi RPG geared to allow you to play any sort of Sci-Fi genre or game. Built from the Pathfinder game system, you will find that IF is a great game, fully detailed with a loads of great races and classes as wells as skills and feats to make any Sci-Fi game a joy to play. There has been a trend over the last few years of combining a tabletop miniature game with an RPG setting. This is nothing new and goes all the way back to TSR's Chainmail and D&D. Still if something works, don't fix it, so with that in mind Avalon has been working on a system and setting that encompasses all of our Sci-Fi games, offering one setting as the base for a tabletop system, RPG and board games alike. Now we have been doing this all along with Battle Armor, using what we have developed in that Mini-Game to build a whole Sci-Fi universe. Along side Battle Armor, our Space Armada system, Zero-G S&G genre setting and Future Wars all use the same Sci-Fi universe. When we put together Infinite Futures, we also tied it into this setting and will soon have a setting book for that RPG called the Fringe. Let us get you gaming this April! With the successful campaign for the backing of Avalon’s Solo Adventure system, we’re enthusiastic to put out more books: Wave Two of our adventure books. Ten more exciting books filled with all kinds of fun! Avalon’s Solo Adventure system is a way for you to play 5e D&D by yourself, where you get to control a party of adventurers as they seek out glory and great deeds. Here are this month’s products. The true wonders of Arcana are explored in the monthly journals. Each issue focuses on a hex or faction within the game world, offering rumors, hidden lore, and detailed descriptions of all the important sites and people. Full-color maps (also offered in print-easy black and white) are provided, plus all sites of worthwhile note, such as towns and major adventure sites. Floor plans of castles and other locations are also offered. In addition to this detailed write-up, each issue will also focus on other aspects of the game world, its history, important people, the Magi and gaming classes. When you add it all up, these journals take the mundane and make it magical. It is through the journals that the Arcana game world will grow, expand, and become a living place of adventure. Over the years, Avalon Games has collected a ton of artwork for use in various games. Well, we got to thinking, why couldn’t you use this great art in your products? So, here it is, Avalon Clip Art! Each set within this series offers you a ton of great art and for a great price. Each product focuses on a set genre or character type and provides you with great filler art and character art for your gaming products. You may reduce, re-color, or crop any image included here. You may not resell these images in clip art packets or art collections. By purchasing this product, you agree to these terms. All work has been scanned at 300 DPI. Why re-invent the wheel when Avalon Games has already done all the hard work? Need a droid for your IF game to do all the things you need droids to do? Fully detailed, each issue provides new droids and classes them into types. This time around we have five battle droids to add to the mix. This version of the product is suited for the Pathfinder version of IF. This version of the product is suited for the 5e D&D version of IF. Fleeing the death of a loved one is hard enough; doing it with a baby and one of your greatest enemies alongside—well, that’s even tougher. Terror at Raven Crest is the next book in the Child of Destiny series of adventures and is the third in a series of linked adventures that continues the Child of Destiny series. Terror at Raven’s Crest is an adventure book for use with Avalon’s Solo Adventure system. Avalon’s Solo Adventure system is a way for you to play 5e D&D by yourself, where you get to control a party of adventurers as they seek out glory and great deeds. In this supplement, you can play out various side adventures for fun and profit. All short one-shots, each is a self-contained adventure to flavor your solo adventures. Why are you not gaming? [Avalon Games] Spring is Coming! Grab your Games and Prepare for Battle! Check out the Solo Adventure System for a great way to incorporate skirmish and army combat in your games. Here are this month’s releases. Joining the Town Guard has given you steady work and a steady income, but it is not always the most interesting of jobs. Things, though, are about to change. Given your lack of seniority in the Guard, you have been given assignments that boil down to "beat cop" work. The more interesting jobs are taken by those who have several years of experience. The four of you are chafing at the bit to find something more interesting on which to spend your time. Town Guard is an adventure book for use with Avalon’s Solo Adventure system. Life is good. You four are respected heroes in the realm. You have wealth, a reputation, and full mugs of ale whenever you want them. Of course, that cannot last…. This adventure book is the second in a series of linked adventures and continues the Child of Destiny series. You should have the Avalon Solo Adventure System core game and have completed “A Witch is Born” to successfully enter this adventure. If you have not, either go back and play out that adventure tree with your characters, or just assume you accomplished these goals. A Witch is Born is an adventure book for use with Avalon’s Solo Adventure system. Need some adventures for your Savage games? Avalon is proud to offer 18 brand new adventure seeds for you to play through. Not full adventures in themselves, these are detailed adventures seeds to get you going. For use with Avalon’s Savage Sword RPG. 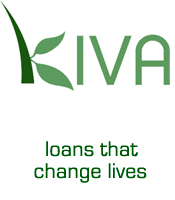 We are a proud supporter of Kiva, a great way to make the world a better place.